MADISON, Wis. – Optimism and confidence in Nordic’s future shines brightly among Nordic team members, according to a recent report. Nordic ranks No. 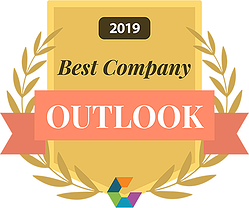 27 among large companies on Comparably.com’s recently released list of the nation’s top 50 companies with the best outlook. The list is compiled from nearly 10 million ratings from employees at over 50,000 companies. Nordic ranks higher on the list than tech giants Amazon, Apple, and Facebook. Among the five Midwestern-based firms on the list, Nordic ranks highest. This recognition comes after Nordic has repositioned itself in the market over the past few years. Nordic has evolved from a staff augmentation firm focused mainly on EHR implementation to one offering a variety of consulting services focused on strategy, technology, and operations as well as managed services.